The first of 12 Ring Events for the WSOP Circuit Series kicks off with Day 1A tomorrow, a $365 buy-in with 5 starting flights and a $250,000 guarantee. Play begins at 11am with 30-minute levels and 10,000 chips - using the same structure WSOP offers for its $365 Ring Events at tournaments all across the US. Registration - and a single-re-entry per flight - is open for the first 8 levels of play, with registration closing when cards go in the air for the start of Level 9. There are two starting fights on Thursday and Friday - scheduled at 11am and 4pm each day - with the final starting flight going off at 11am Saturday. Day 1 play is scheduled for 15 levels for each starting flight. 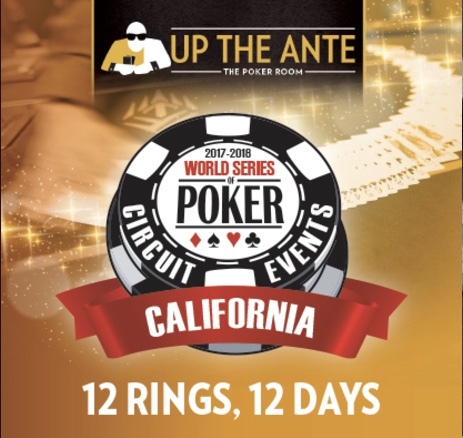 Players who bag-n-tag come back Sunday at 11am to play down to a winner of the first-ever WSOP Circuit ring from TVPokerRoom.